We opened the Justin Early Learners Academy to serve the preschool needs of our community. Connected Learning Programs were formed to thematically partner some of our elementary, middle and high schools. CLPs create seamless, focused learning experiences in international studies, fine and performing arts, medical sciences and more. Middle and high school Pathways programs continue to expand. Our high schools now offer more Advanced Placement and International Baccalaureate classes to accommodate more students in higher-level classes. There are campus/facility improvements throughout the district, ranging from new landscaping to exteriors renovations, heating/AC systems and technology upgrades. Monte Vista School, the district’s homeschool program, moved to a permanent home at the former campus of Lincoln Elementary School. It also offered Kindergarten programs for the first time. The result was the doubling of its enrollment over the previous year! We gave ourselves a redo as well, by rolling out our new district logo, Promise Statement and motto. For the first time in a long time, we’ve hired 35 new teachers and will possibly bring on more during the year! The implementation of the Unique Learning System for teaching functional skills to our moderate and severe Special Education students. The piloting of prospective English/Language Arts curriculum in all grades. The piloting of the elementary Medal of Honor-Character Education national curriculum, which our teachers helped to write. We’ve expanded our Foreign Language offerings to include Greek, Italian, French, Spanish, Chinese, German and American Sign Language at some schools. Our district’s budget has received a three-year positive certification from the County. The rebranding of the Simi Valley Adult School, which will be revealed in the near future. Continued facility improvements at some campuses. The rollout of 14,000 Chromebooks and carts for our classrooms. Also, the District’s WiFi systems will be upgraded at every campus. Improving student achievement and ensuring that every member of our staff continues to provide the best customer service possible to our families remain our top priorities. We believe that every child coming through our doors can and will reach their highest potential. From our highly qualified teachers to our nurturing and compassionate counselors, administrators and support professionals, we create an environment of inclusion and instill a love for learning. Our doors are open to every child; that’s our promise to you. With innovation comes change. Once again, we ask for your patience as we continue to implement programs and systems to improve our students’ educational experience. If we stumble along the way, please let us know. We are here for all of you. 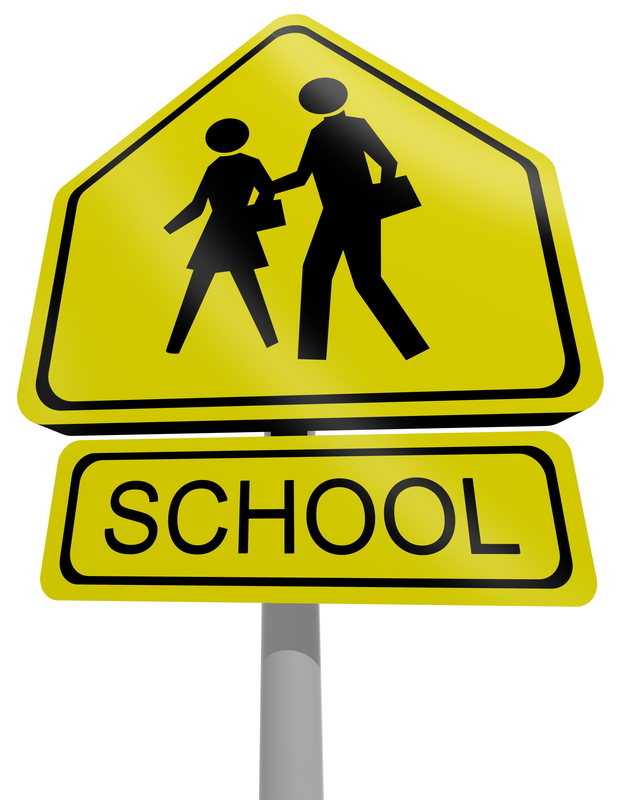 And please, remember to drive safely in and around our campuses, especially in these first weeks of schools. Our students are our top priority because at Simi Valley Schools, our students go from here to anywhere! Posted on August 30, 2016 Categories UncategorizedLeave a comment on Welcome to the 2016-2017 School Year! Today our students started the 2015-2016 school year and we are honored and thrilled to have them with us! There are many changes this year, from new math textbooks and instructional materials in all grades, to all-day kindergarten, improved technology in every classroom, and College-and-Career Readiness programs in our middle and high schools, to name just a few. We know that some of these changes might be overwhelming, but we are also very excited by the opportunities these bring to our staff and students. Change is not always graceful or easy, but we know that these changes will benefit our students in the most positive of ways. Our students will be better prepared for their future. They will not just be filled with facts, but with a love of learning that will extend far beyond our time with them. It is not enough to declare change. Change must be nurtured and adjusted to be successful. In the coming months, you will see new and improved programs and methods to reach out to all of you because we do want to know if what we are doing works for you. Look for revamped websites, a district smart phone app for direct parent communications, and expanded social media outreach. We are bringing in new software to better disclose our fiscal status, making us more transparent to the public. We are also working to make our campuses as safe, efficient, and attractive as possible. Many of these things will take time to complete, but we are excited about the possibilities they will bring. As I told our staff last week, I ask that you honor that space between “no longer” and “not quite yet,” and please be assured that we are working tirelessly to complete all of these tasks as quickly as possible. We ask that you walk with us on this journey, that you support our staff and students as they embark on these amazing years to come, and that you offer your input if we stumble along the way. We are here for you, whether you reach out to our staff at our school sites or the district office, come to me, or turn to your SVUSD Board Trustees. Have an amazing 2015-2016 school year! For almost 18,000 children, Monday marks the end of Summer 2015 as Simi Valley public schools open for the first day of school. The first days and weeks of school bring nerves and excitement to our school sites. They also bring increased traffic and frustration around our campuses and those neighborhoods as parents and their children navigate parking lots and narrow residential streets to get to school. When School of Choice was implemented, many students transferred to schools outside of their immediate neighborhoods, requiring families to drive their children to school, hence the increasing congestion in recent years. The Simi Valley Unified School District has partnered with the Simi Valley Police Department to offer a public service presentation about traffic concerns around our school sites. The link below will take you to our home page, where the PowerPoint can be found at the top of the page. SVPD Commander Robert Arabian said his traffic officers will increase patrols in and around school sites during the first few weeks of school. “The major congestion happens when a parking lot is full and the (driver) just stops (on the street),” he said. Drivers are not allowed to interfere with the flow of traffic on a street by stopping and waiting to turn into a school’s parking lot, he said, and may end up with a citation if they block traffic. The link below offer a PowerPoint presentation on traffic safety. The SVPD has asked that parents watch the presentation to understand how the traffic rules apply around campuses. Besides the presentation, there are several basic dos and don’ts that can help all of us manage traffic around our school sites better and keep our students safe. When lined up in a school parking lot to drop off or pick up a child, please move your car as far forward as possible to allow the cars behind to move into the parking lot. Don’t block the sidewalk by stopping your car short of the parking lot. Children walk and ride bikes on the sidewalks and it’s illegal–and dangerous–to block their ability to move. Never, ever allow your child to run into the street to jump into your car! The same goes for stopping short of the designated pick up area in a school’s parking lot to let your child jump into the car. Learn the school’s parking lot pick up/drop off routine. Every campus has one. Listen to the city’s crossing guards and the school’s staff and volunteers who help direct traffic. They are there to protect your children. The SVPD is asking that if you approach a parking lot and cannot fully enter it because of other cars, that you circle the block and return, instead of stopping in the middle of the street and waiting for traffic to clear. This might take a few minutes longer, but you won’t run the risk of receiving a traffic citation for blocking other drivers. Be patient! Traffic usually lightens as the school year progresses. Please be considerate of the homeowners surrounding our schools. Don’t block their driveways or access to their homes. Do try to form carpools with other parents to lessen the amount of cars coming to school. With everyone’s cooperation, we can keep our students safe as they come and go from school. And not just about the money this father of three boys saves this year by having his middle son, Kashton, enrolled in Township Elementary School’s Junior Kindergarten/Transitional Kindergarten (JK/TK) program. It’s more about how Kashton, 5, is thriving at Township. “What’s so nice is that my son is even more ready for kindergarten. Kindergarten next year will be a cakewalk,” he said. For the last six years, Simi Valley Unified School District, along with districts throughout the state, has offered JK/TK classes to area families. JK/TK serves as a bridge between preschool and kindergarten. These free programs target children whose will turn 5 between Sept. 2 and Dec. 2 on the year they enter school, which means they just miss the birthday cut-off for “regular” kindergarten. (For this coming school year, a child born on Aug. 15, 2010 would be admitted into kindergarten whereas a child born Sept 15, 2010 would enroll in JK/TK.) JK/TK also serves children whose parents feel their child would benefit from an extra year of kindergarten experience. JK/TK students go into regular kindergarten when they are done with their JK/TK year. In the case of the Matthews family, Kashton attended two years of private preschool before going to Township. Kashton missed the kindergarten cut-off age by two weeks, and Joel Matthews said he and his wife are happy they gave Township’s program a try. Janet Herman has 26 JK/TK students in her class at Township, including Kashton. Twenty-two kids are TK and the rest are JK, but the class is blended and easily taught together. On a recent morning visit, her students gathered on the rug around Herman as she read aloud from a book. Then it was Center Time, where students chose different activities—most play-based—and did them for the hour before lunch. At one table, children were cutting pictures and pasting them onto papers. Classroom volunteers helped the children as needed and everyone was treated with affection and patience. On the rug, several students played with dolls, animal figures and blocks. Koki Omuro decided that his dinosaurs needed a zoo, so he built one from blocks. Then he made cages for a pig and a cow, all the while talking confidently about what he was building and why. This was a child, Herman said, who started the school year speaking no English. Now he is fluent. Herman worked with a handful of children at a half-round table where the students were asked to finish the sentence, “I like…” with words and a picture. She helped each student sound out the words to write, which was easy for them because they already knew their alphabet. The students had fun answering Herman’s questions and didn’t seem to know that they were learning, which is one large reason why Sheila Decker is so happy to have her daughter, Elizabeth, in the program. “I think the biggest difference between JK/TK and a regular kindergarten program is that they still have time to play,” Decker said. “It’s a more natural learning process. They are still learning. They have sight words and blended words and they learn all the letters of the alphabet. But they still have this time where they explore. As for Herman, she loves teaching in this age group. “I think JK/TK provides a real developmental component that’s so important for this age,” she said. Dorothee Chadda is a 9th-grade English teacher. She put her son, Adi, into the JK/TK program because she approved of the curriculum. All of the JK/TK teachers are credentialed. They collaborate with each other to develop appropriate curriculum. “For me as a teacher I look extensively at the curriculum. I do my own research and I see the way its being implemented in the classroom and it works. What matters to me is that my kid is able to use this program independently. The independence part is what’s important to me,” she said. The program began six years ago at Berylwood Elementary with two classes, Herman said. Now there are nine classes spread among six schools. As the program’s enrollment grows, classes will be added at more campuses. Right now, JK/TK classes are placed throughout the offer the greatest accessibility to the most families. A family living on the east side of Simi will likely be offered a spot in a JK/TK class on that side of the city. Because it’s not known until the start of school how many children will be enrolled in JK/TK and where the classes will be best located to help the most families, parents don’t have the option of designating at what campus they wish their child to be placed. Township Principal Lori Neiman said about half of her JK/TK parents have opted to remain at Township for kindergarten while the other half will either attend their neighborhood schools or have applied for School of Choice to other campuses. For more information about JK/TK, visit the district’s website at www.simivalleyusd.org or pick up an application at your neighborhood school.